Gardens are places for rest and relaxation and as such require special care, lots of skill and knowledge. Not to mention taking care of a garden can be very time-consuming. Gardening demands a lot of hard work. Our gardening company in London is well familiar with this. For years we have served our community, providing gardening services and advice to those who need it. 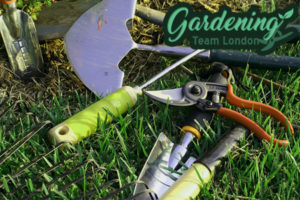 Our team of professional gardeners and experts are highly skilled and love their job. If your schedule does not allow you to maintain your garden and take care of it, contacts us. Results will prove to be satisfactory and impressive. 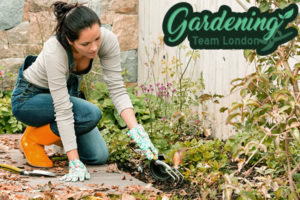 The work of our professional team of gardeners is proclaimed as one of the best in London. Our company has a large following of clients and is well known and established in the area. If you live nearby you can always give us a call to see for yourself. We offer a versatile range of gardening services including gutter clearance, hedge pruning, lawn mowing, seeding, patio washing, strimming, landscaping, weeding and weed control, pest extermination and decoration. Once you have entrusted us with your garden, we will make sure to transform it into a presentable and beautiful place for relaxation, barbecues and other family gatherings. Our clients always come first and we are ready and willing to provide the best services for your garden. In autumn we offer regular services to clear dead leaves and dry weeds. In case there are bare spots in your garden, you can always try our phenomenal turfing service. We have laid hundreds of lawns in London and possess the level of expertise required to provide you with a beautiful high-quality lawn or back yard. And if your trees are in bad condition you can rely on our tree-surgery service – our team is expertly skilled in mending all kinds of trees and shrubs. Don’t forget what surrounds your home is just as important as what’s in it. We at our company are dedicated to maintaining high standards of quality and are confident our work will bring you 100% satisfaction. Contact us to book our services via phone or email.